I'm loving your back-to-school posts. White shirts are always a good idea, and those loafers are amazing! I love the look, the shoes are so cute and edgy ! 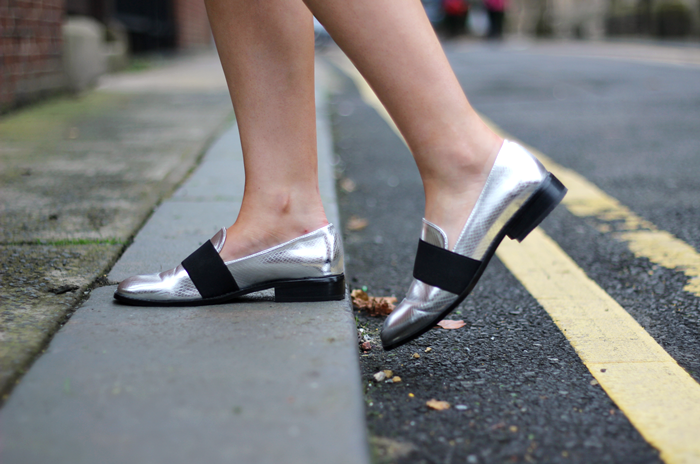 I am totally swooning over your shoes! 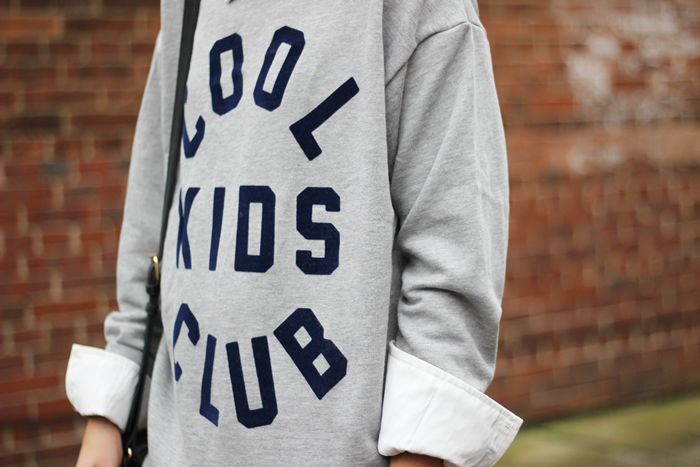 This jumper is so cool!! Love tis look with the skirt. This outfit is just FAB and the shoes I need in my life asap! That jumper is amazing! I am not usually into any thing with a slogan, but this one has won me over!! Love this Charissa, your outfits are perfect! The shoes are so fashionable yet practical! Love them! You look incredible and your outfit is so cool - I love the whole back to school vibe! Wow, I LOVE those shoes. I can't believe they're H&M... are those still in stores?